Our talented workforce is a key factor underlying our success. We adhere to high standards of integrity and ethical behavior. We strive to be the employer of choice fostering a culture focused on continuous improvement, and a strong commitment to treating our employees with dignity and respect. We are committed to providing an equal opportunity and a non-discriminatory workplace; maintaining a positive and constructive relationship with the labor unions of which many of our employees are members; protecting the health and safety of all our employees; engaging, developing and empowering our employees through extensive internal and external training; and aligning incentive programs with our strategic objectives and priorities. The association honored Mark Eliopulos, Corporate Director of Health & Safety for Kaiser Aluminum, as the 18th recipient of the Marlan T. Boultinghouse Award for service to the North American aluminum industry. For four decades, Eliopulos has been a leading voice in the advancement of safety culture within Kaiser Aluminum and the aluminum industry. He has volunteered his time to train personnel for more than 15 years through the association’s Casthouse Safety Workshop training programs, provided expertise in shaping industry superior practices as an editor of both the third and fourth edition of Guidelines for Handling Molten Aluminum and shaped industry standards with the American Society of Testing & Materials. The Boultinghouse is the highest award given by the North American industry and honors those who have not only had distinguished careers within a member company, but also have provided their talents to improve the broader industry. The award is presented in memory of late ARCO Aluminum, Inc. President Marlan T. Boultinghouse. 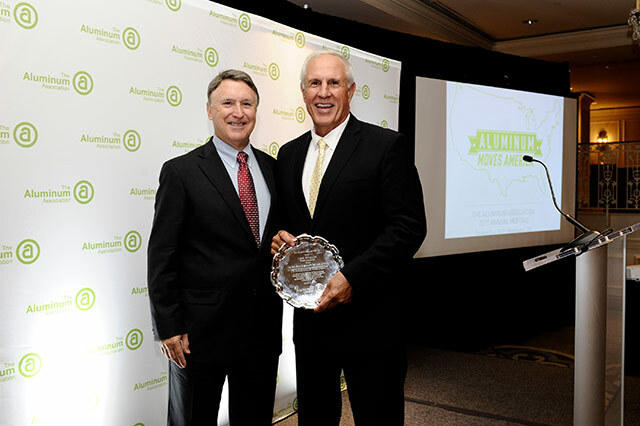 Boultinghouse brought energy and enthusiasm to the industry through his advocacy of aluminum marketing and the many technical programs he helped to advance. Scholarship program for children of Kaiser Aluminum employees by awarding scholarships to those youth who demonstrate a balance of academic achievement, leadership and civic involvement. Kaiser Aluminum—Sherman honored the victims on the 10th anniversary of 9/11 by donating the aluminum for the 3000 flagpoles used in the Battery Park, NYC memorial. Called the NYC Memorial Field, the five-day project was designed to give all New Yorkers who lived through the events of 9/11 a public place to gather and pay respects to those who were killed that day. 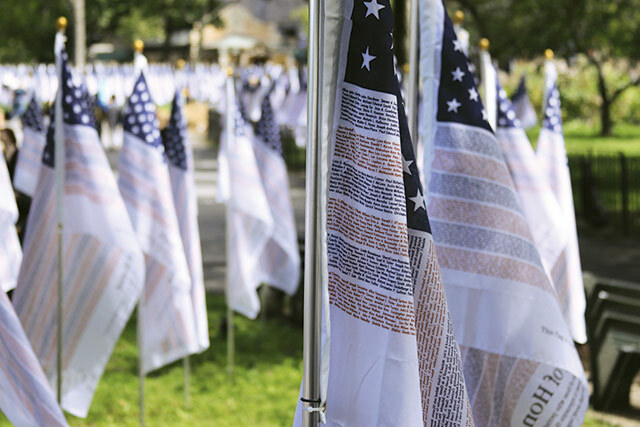 Each of the 3000 flagpoles held an American flag bearing the names of the victims of 9/11. The company has created a learning environment incorporating on the job training and development, through Kaiser University, the Kaiser Leadership Program, the Kaiser Aluminum Education Scholarship Program and through external resources to provided our employees and next generation leaders and we continue to expand our talent management initiatives to pursue the significant long-term potential for Kaiser’s continued success.